This ELH Challenge asked the eLearning community to create a custom menu example for an eLearning course. I really liked the map style of navigation that Nicola Appel created and decided to create a custom map navigation menu. 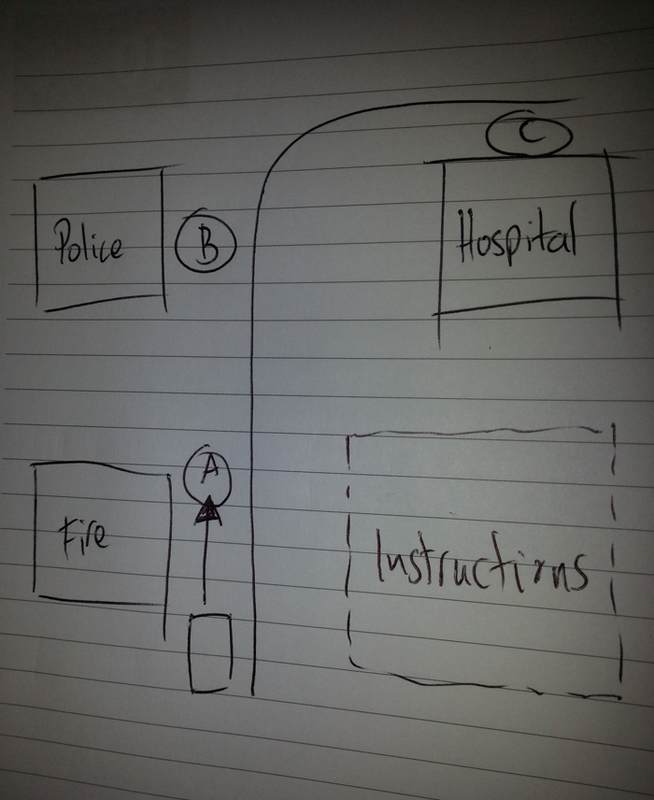 I jotted down a basic concept of a map containing three locations: a fire station, police station and a hospital. 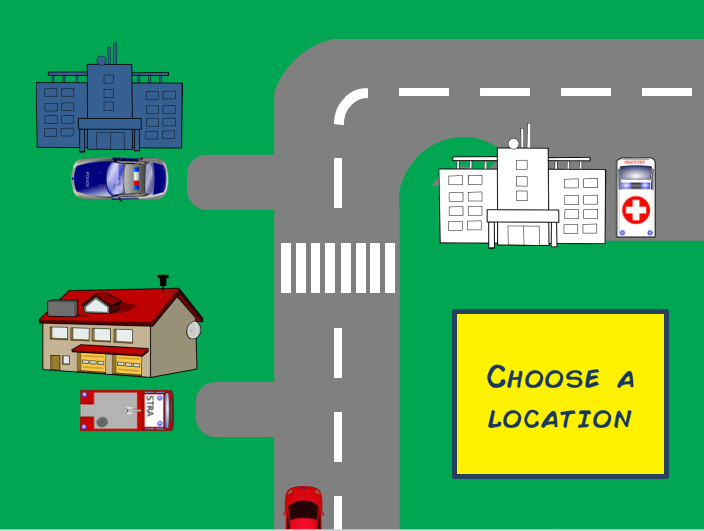 The map would contain a road linking the three locations with a car that travels to the selected destination. 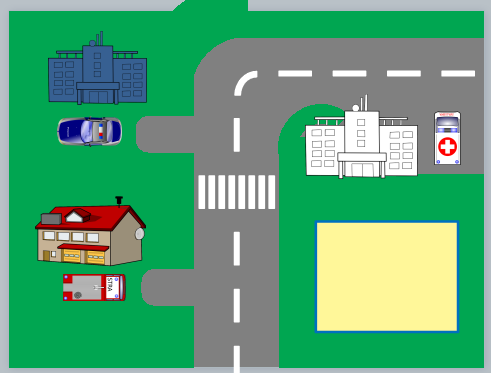 The map consisted of basic filled shapes to represent the main road, driveways and grass areas. Then a number of public domain images were placed on the map to indicate the three locations. I decided to use vivid colours for the grass and road to make the map interface more appealing. The custom map navigation starts with a car at the bottom of the screen. 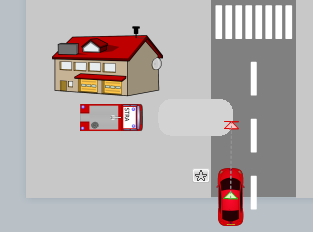 When a location on the map is clicked, the car follows a motion path and travels to the selected building. The course only contains fours slides. 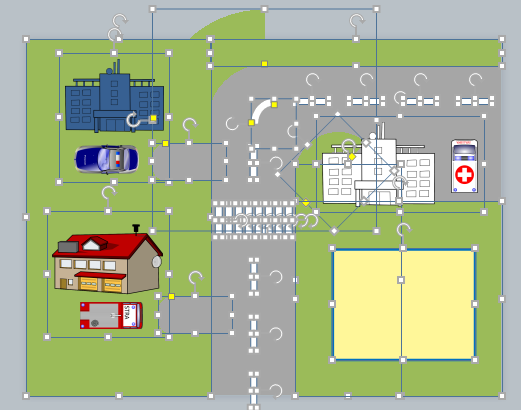 The first slide contains layers for each motion path and the remaining three slides appear as lightbox slides when each destination is reached. 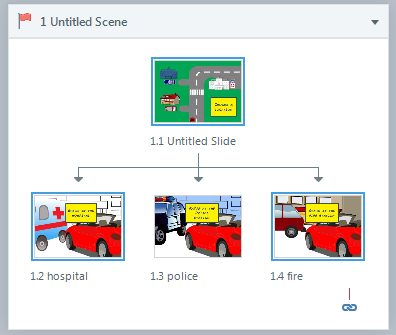 Click below to view the map menu example for an eLearning course.